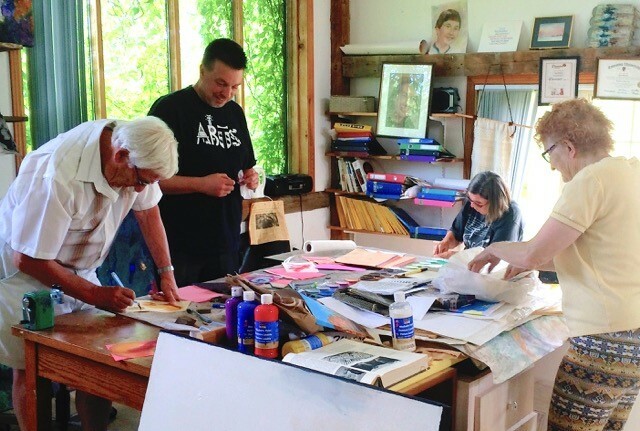 KAN is a co-operative of practicing artists with a community vision in the City of Kawartha Lakes. finding opportunities for our members to share their work with the public throughout the Kawartha Lakes and beyond. Members have a wide variety of exhibition options with KAN throughout the year. Some of these include an on-going and ever-changing display in the Guild Room of the Academy Theatre in Lindsay, participation at outdoor shows such as Kawartha Palooza and at Miskwaa Art, and the “Made in Kawartha Lakes” art/artisan show and sale which is sponsored by the Kawartha Lakes Arts Council. KAWARTHA ARTS NETWORK IS ON THE ARTS & HERITAGE TRAIL.